Fortunately, Aurora Pump has established an extensive library of troubleshooting guides that help you locate the problem and find the probable cause, and offer suggestions how to fix it. 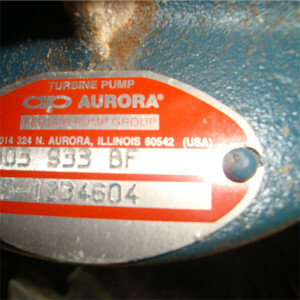 We’ve included these resources below to help you get your Aurora fire pump functioning normally once again, and to avoid having a minor problem becoming a major headache. Of course, if you need any assistance, our fire pump repair techs can have your pumps up and running normally in no time. Give us a call at 302-652-4722 or contact us via our service/info request form today!